Meet your neighbor and Gladstone Mayor Wendell Parsons. Wendell was born and raised in Oquawka. He now lives in Gladstone with his wife Mary who he married on November 23, 1981. Wendell is a Fire Lieutenant at the Iowa Army Ammunition Plant (IAAP) in Middletown, Iowa. Mary is a teacher's aide at West Central School. Wendell is the father of two sons: Brian (Angie) Stewart and Justin (Megan) Parsons. He has three grandchildren. Catlyn (10), Chance (7) and Carly Jo (6 months) Stewart. Wendell's parents were Chester and Iva (Boughton) Parsons of Oquawka. Both are deceased. His three siblings, Ivan Jern of Metemora, Julia Talbott of Milan and Dorothy Beauchen of Oregon, IL, are all retired. Wendell graduated from Union High School where he was active in extra curricular activities. He played Yankee football and basketball, and also was a member in the band. In addition to his 48 years as a fireman at the IAAP, Wendell also drives a grain truck part time for Consolidated Grain & Barge (CGB). He is an active member in the Oquawka Masonic Lodge where he has been Master 5 times. He is an EMT with the Gladstone ambulance and is a volunteer with the Gladstone Fire Department. Wendell has served as a Gladstone Village trustee for 12 years. and has served as Mayor the past three years. He enjoys serving Gladstone as their Mayor. Big Christmas celebrations are a family tradition with Wendell. 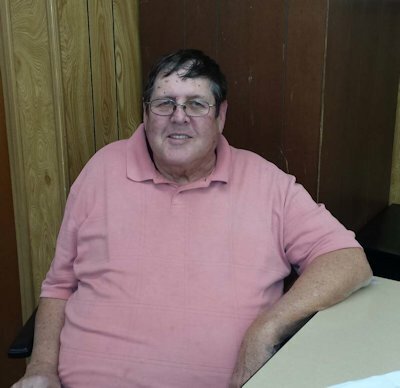 He says, "To me the whole family is special"
In the future Wendell says he is looking forward to his retirement at IAAP, however, he plans to still drive a truck part time to keep busy.